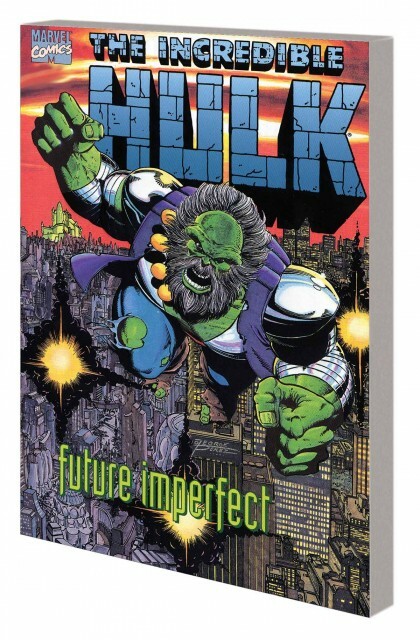 ANDY’S PICKS :: HULK FUTURE IMPERFECT TP NEW PTG: Writer Peter David along with artists George Perez and Dale Keown take that old SF/superhero chestnut of the hero going into the future to change the past. Or is it the Hero’s job to change the present by going to the future to change the future’s past and the present’s future. Ah hell, who cares (although a Visio couldn’t hurt) when the story and art are this much fun. Keep an eye on those backgrounds; they’re are many smashed Easter Eggs to be found. Collecting HULK: FUTURE IMPERFECT #1-2 and INCREDIBLE HULK: THE END. Plus, see the Hulk’s hairline recede, but don’t stare, he’ll kill ya. Writer Bill Schelly -a man who has interviewed the titular cartoonist numerous times- delivers an exciting biography of Harvey Kurtzman, the creative mastermind behind Mad Magazine as well as the modern realistic war comic with Two Fisted Tales and Frontline Combat. Kurtzman’s story is one everyone needs to read– lawsuits, the FBI, Hugh Hefner and much, much more. 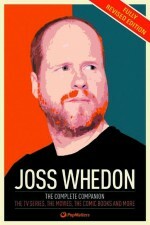 He is easily in the top 5 or 6 most influential comics’ creators of all time. Forward by Python alum Terry Gilliam. 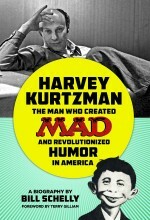 Fantagraphics has a track record of publishing really solid Creator biographies and it is a no-brainer that HARVEY KURTZMAN HC MAD AND HUMOR IN AMERICA is another worthwhile, reliable gem.